Explore Las Vegas Market’s temporary exhibits, and the rewards are many. Find your store’s next bestseller, for instance, or jump-start your seasonal assortment. Score a one-of-a-kind for a discriminating client or pick up something for yourself from a cash-and-carry vendor. 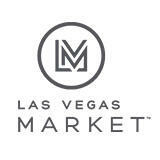 It all happens at Las Vegas Market temporaries — here’s where to go: The Pavilions for gift and home. We WILL NOT be at WWIN this year! About OFFPrice: Sometimes, retailers mistakenly think the off-price channel has low-quality merchandise or last year’s trends and styles. But what we’ve found is that many newcomers are pleasantly surprised by the treasures they find. Every show is different and our vendors feature products your customers will love, at prices they’ll love even more.